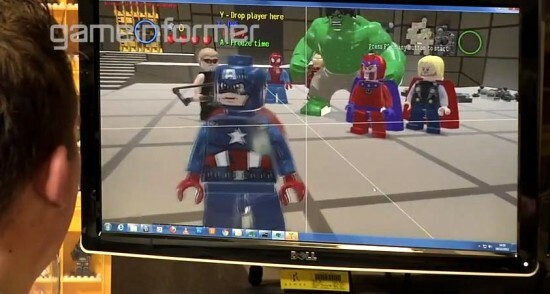 Back in January we reported on the breaking news that LEGO Marvel Super Heroes was coming. Yes, we know it was kind of a no brainer but it was great to see it was actually happening! Now we are proud to bring the first official trailer to the Flickcast faithful. 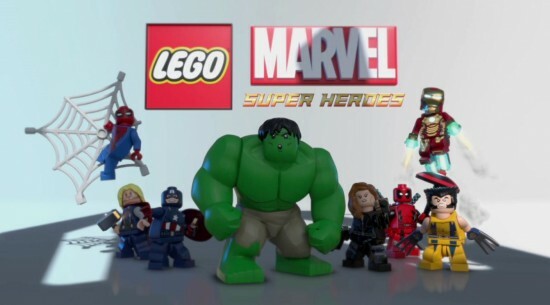 In the trailer below, check out the first official look at LEGO Spider-Man, Thor, Wolverine, Hulk, Iron Man, Deadpool and Black Widow who will be amongst the “more than 100 memorable characters to choose from, each with their own unique powers and abilities, players are in for a brick-smashing adventure”. Those actual gameplay isn’t shown, one can assume it will probably be similar in style to that of LEGO Batman 2: DC Super Heroes. The trailer also gives a pretty good indicator who one of the game’s big bads is going to be. Like much of the news in the gaming world, this bit was broken to everyone through Game Informer. Despite the fact that a print magazine is getting exclusives still amazes us, it is still exciting news none the less. 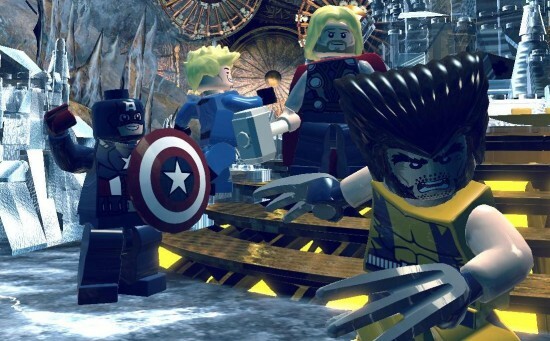 It looks like Traveller’s Tales is already well underway to make the LEGO Marvel franchise a reality with the official announcement of a LEGO Marvel Super Heroes game. Spider-Man. Hawkeye. Wolverine. Hulk. Magneto. Iron Man. Thor. Loki. Deadpool. Magneto. Captain America. From the looks of the early footage from Game Informer behind the scenes at Traveller’s Tales, it looks like this full list will be getting the LEGO treatment. It is worth noting that all these guys have already had LEGO figures made and there is potential for hundreds more Marvel characters to be brought into this brick world. Those of you who caught last year’s break-out superhero film, X-Men: First Class, most likely developed a totally normal man-crush for a certain featured actor in the film. Believe it or not, it wasn’t for former heartthrobs James McAvoy or Kevin Bacon. The standout role in the film clearly went to Michael Fassbender, who played Eric “Call me Magneto” Lensherr. Fassbender was slightly less known before the role, and is quickly becoming a big player in the competition for leading man in Hollywood. It seems that even First Class scribe Simon Kinberg agrees, and plans on expanding Fassbender’s story a bit more for the proposed sequel which he’s working on now. From MTV. What’s what was so cool about the first one and what we want to continue. Magneto becomes the villain ultimately of the franchise but he’s a much more complicated character as a young man. He’s someone you sympathize with, you care about you root for even though might not necessarily agree with his methods, you understand his philosophy. People who complain that DC Comics reboot their universe too many times needs to take a look at Marvel Comics Ultimate Universe line. Founded in 2000 with the debut of Ultimate Spider-Man, the Ultimate universe was always intended as a continuity free entry point into the Marvel Universe. Characters and origins were updated to feel as if they were created in the 2000’s, and many of the movie properties of Marvel took several ideas and storylines from the Ultimate Marvel universe. Unfortunately, somewhere along the way, the Ultimate Universe became confusing and has been rebooted not once, but twice in ten years! Let me say that again, twice in ten years. Even with all the odds stacked against it, Ultimate Comics X-Men #1 turns out to be a decent issue. Peter Parker, the Spider-Man, is dead. Wolverine, Cyclops, Professor X, and Magneto are also in the ground. This ain’t your papa’s Marvel Universe. The issue begins with a scene that could have been ripped out of an X-Men movie. Karen Grant a.k.a. Jean Grey, who has changed her name for safety reasons, visits the parents of a little girl who has just discovered she is a mutant. Karen discusses options with the mother while the father of the little girl is upstairs with her.